Good morning Quick Quotes readers! Alicia with you today to showcase some more Gypsy Road Collection. 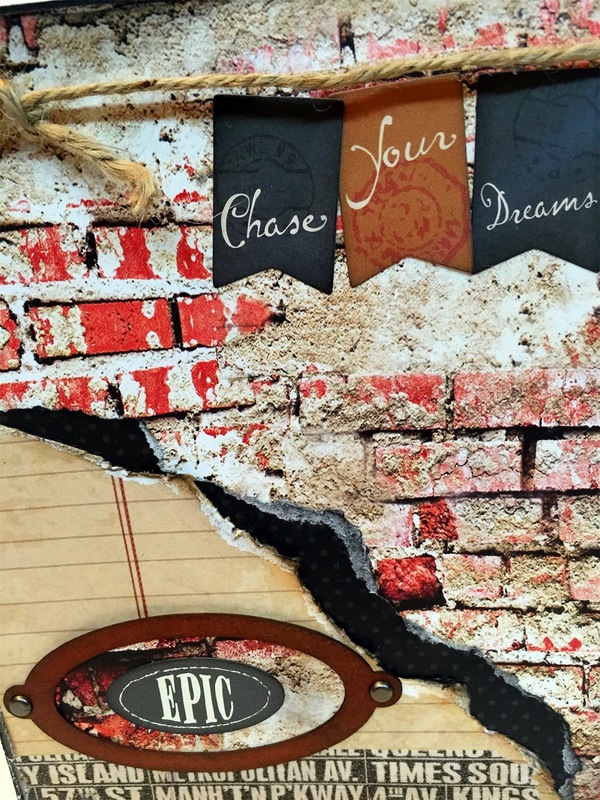 I have a teenage son and I have been wanting to make him a card with the brick side of the Gypsy Road 200 Paper ever since I first got my hands on it! I also used a few other papers from Gypsy Road collection. 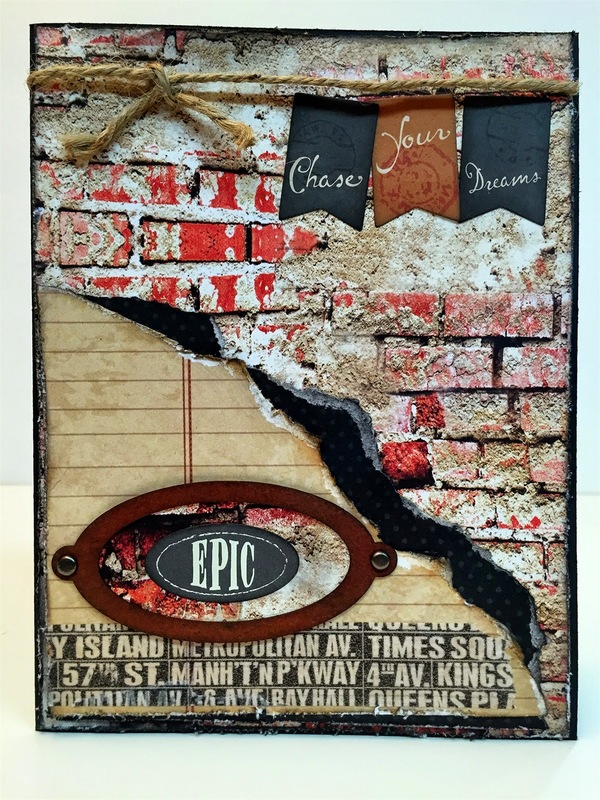 I ripped, inked and distressed the papers with a distressing tool for a youthful, urban masculine card for my son. I primarily inked with Midnight Confessions PowderPuff Chalking Ink but I used the Maraschino Cherry Powder Puff ink to color the chipboard frame as it matched the bricks the best. I used some great sentiment stickers from the Gypsy Road Die Cut Sticker sheet and finally I added some burlap trim, brads, and a strip of washi tape to finish it off. All that is layered on black card stock. I must not forget to add a liner to write on, I often find myself picking up a card where I have waited to make the liner is to be able to stamp a quick "happy birthday" or "congratulations" inside. But I should make them when I create the card to insure matching papers. I could give this card for a number of reasons stamping a more specific sentiment inside. Have a great day and thanks so much for stopping by today!